Located in Okaloosa County, Fort Walton Beach FL is a lovely waterfront community on the Choctawhatchee Bay, the Gulf Coast, and the Sound. Downtown Ft Walton Beach developed with an Indian Mound center that was once part of an Indian coastal civilization that dates back to 1,500 AD. The site is now home to the Indian Temple Mound Museum, a National Historic Landmark. Neighboring the museum is an eclectic mix of cafes, shops, restaurants, and entertainment venues that range from local pubs to yoga studios. The real estate found in this section of town is just as unique and charming. 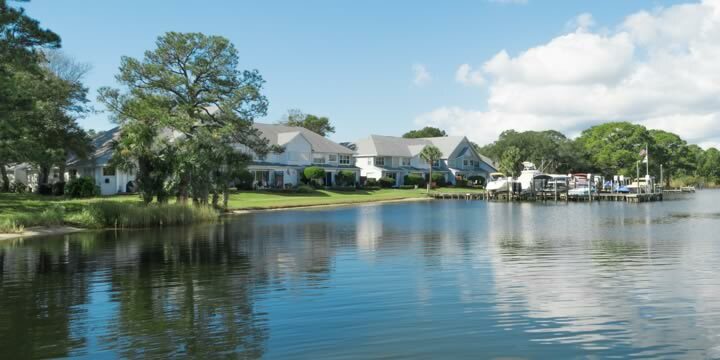 You will find waterfront homes on the Intracoastal Waterway within walking distance to the entertainment district. You will find everything from quaint coastal style cottages to modern new construction in this area of town. It is easy to understand why homebuyers are looking in the Ft Walton Beach real estate market. This is a great community for families, with schools, parks, beaches, library, shopping, and recreation all within a short distance. Bridgeport is a gated community located off Carmel Dr. Developed in the mid-2000's, with executive homes $300k to $500k, and a community pool. Overbrook is an affordable community located just off Beal Pkwy. Most homes are ranch style with nice yards, many with private pools. Built in the late 1980's and early 1990's, these homes have prices that start at $300,000. Garnier Beach is an older neighborhood in a great location close to everything near Hwy 85. The homes are very affordable, perfect for starter homes or fixer-uppers. Most are $200,000 or less. Country Club Estates is a community on the Kenwood Golf Course. These homes are older, but well-kept, mostly brick ranch homes. Most are priced in the $300,000's, and many have private pools. Northgate in Pineville is off Mary Esther Cut Off and Jonquil Ave. This is a beautiful and popular community of brick homes, priced in the $200,000's. You will need to get on a waiting list for a home here. Call us soon to do that! Cloverdale offers some beautiful brick upscale homes with large lots. Originally developed in the 1970's, there are occasional brand new homes being built too. Great location near UWF and restaurants. 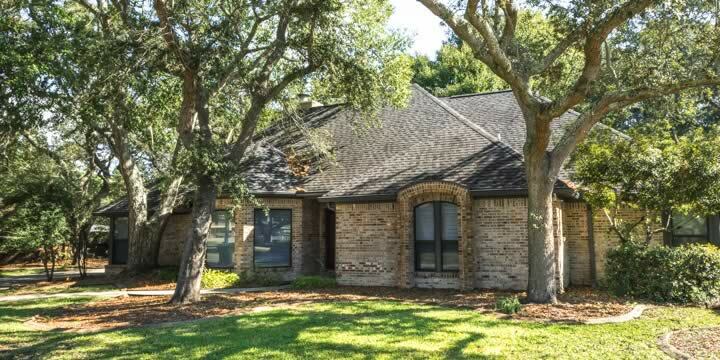 Bayou Woods is located near the Cinco Bayou in the heart of Fort Walton. These are beautiful brick homes on good-sized lots, begin at $300,000. The MLS property search also allows you to access real estate listings for luxury homes, waterfront properties, and beachfront homes for sale in Ft Walton Beach. If you choose and when you are ready, our knowledgeable agents can show you any property you would like to see.